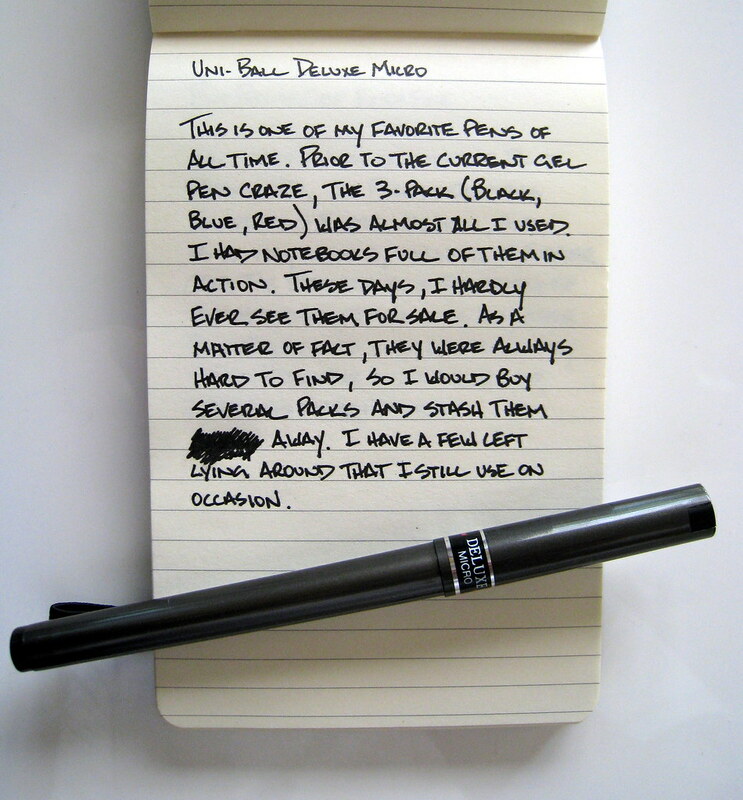 One of my biggest addictions in the past was this Uni-Ball Micro Deluxe. The 0.5mm tip writes really fine and clean on standard notebook paper, and was my pen of choice for years and years. I rarely use them anymore, mainly because I think some of the gel pens are superior, but I do keep a few around just for old times sake. Posted on May 27, 2008 by Brad Dowdy.